Musicology Now: Whither the Théâtre des Champs-Élysées? 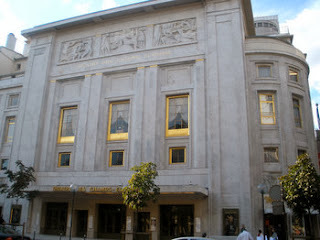 Inaugurated on April 30, 1913, the Théâtre des Champs-Élysées is an icon of Parisian modernist architecture as well as a significant landmark in the history of music. It was the life-long project of Gabriel Astruc (1864–1938), a Parisian impresario, journalist, playwright, agent, promoter, theater manager, music editor, and publisher. Astruc was an early partisan of Diaghilev and created the first Saison Russe in Paris in 1909. Additionally, he organized numerous music festivals and artistic events at such Parisian theaters as the Châtelet and Opéra, with artists and ensembles including Strauss, Toscanini, Caruso, Satie, Nijinsky, and the entire troupe of the New York Metropolitan Opera Company. Beginning in 1905, the musical events he presented became known as the Grande Saison de Paris, a cultural phenomenon that remained at the center of Parisian cultural life for almost a decade. Yearly, in May and June, it featured the world’s most sought-after performers. Astruc aspired to centralize the Grande Saison into a unique space, and this became the concept behind his idea for a new palais philharmonique. Astruc envisaged a space that facilitated dialogue among audiences, different artistic disciplines, and musical genres. 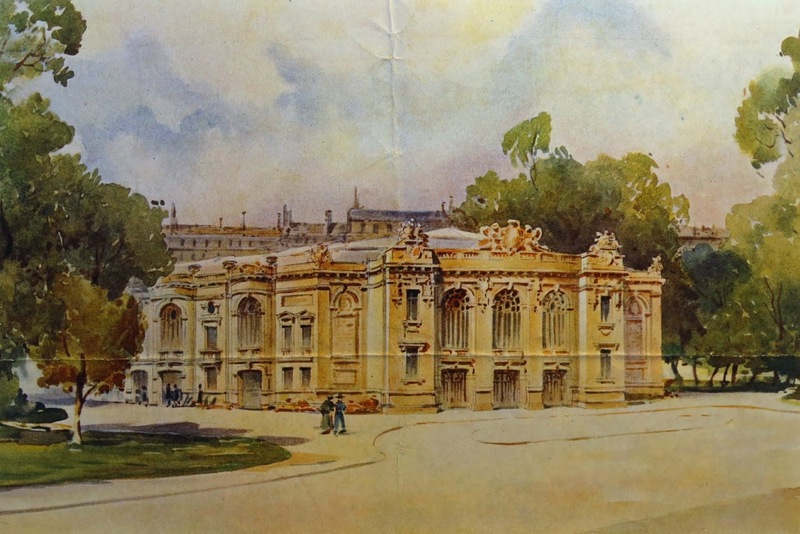 Early blueprints of the project indicate that the theater was to have included three halls: Grande Salle, Salle Moyenne, and Petite Salle. The Grande Salle, mainly devoted to orchestral music, opera, and ballet, had the capacity to host an audience of 2,500 people. The Salle Moyenne, for chamber music (up to 50 musicians) and virtuosi, could seat up to 1,200 people. Finally, the Petite Salle was designed so that about 800 people could enjoy small-scale recitals and artistic expositions. Rendering of a palais philharmonique in the Champs-Élysées. Location was everything. The Avenue des Champs-Élysées represented the cosmopolitanism and sophistication commonly associated with the Parisian élite, a community Astruc knew well. A wealthy group of patrons from Paris and elsewhere, including Rothschild, Camondo, Vanderbilt, Pierpont Morgan, and Countess Greffulhe, offered financial support for his ambitious initiative. Such celebrity composers as Saint-Saëns, Lalo, Debussy, Fauré, and Massenet enthusiastically supported Astruc’s initiative. And on August 4, 1906, the Paris city council approved the plan to build a palais philharmonique in the Champs-Élysées—on city property. But in fact the Théâtre des Champs-Élysées is located in the Avenue Montaigne, near its intersection with the Avenue George V, significantly closer to the Seine than to the Champs-Élysées: a half-mile walk, or, better, a 600-foot stroll from the Alma-Marceau metro station, near the Pont de l’Alma. For shortly after council approval, several groups manifested their opposition to the new hall. Some opposed Astruc’s intention to centralize all the events of the Grande Saison. Traditional Parisian venues, such as the Opéra, Opéra-Comique, and Salle Pleyel, which often hosted his events, perceived the projected Théâtre des Champs-Élysées as a financial threat. Planned (A) and actual (B) locations of the theater. Legal actions and contingency plans inevitably followed. The search for a new site did not take long. By early 1910, the Société du Théâtre des Champs-Élysées had purchased the property in the Avenue Montaigne, in the same arrondissement. Astruc retained most of his existing investors and supporters, but purchasing the land instead of leasing it required cultivation of new patrons and bigger gifts. This was the sort of thing at which Astruc particularly excelled. The Théâtre des Champs-Élysées today. Construction began in mid-1911. As it neared completion in early 1913, the theater hosted guided tours for art and architecture schools leading up to the inaugural concert on April 2, 1913. As with many other artistic institutions on the eve of war, ticket sales and private support could not provide the revenue to keep the theater running. 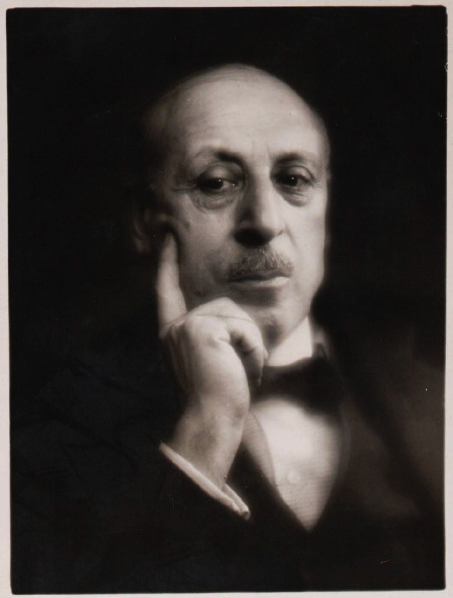 The closing of the Théâtre des Champs-Élysées on November 17, 1913, came, ironically, on the heels of the great opening season, with Schmitt’s Tragedy of Salomé, Debussy’s Jeux, and Stravinsky’s Rite of Spring. That, in the end, proved the peak of Astruc’s career. Today, the theater reflects Astruc’s original concept only in part. The halls have been separated and common spaces divided. You can still experience the magnificent art deco style, but that is only a glimpse of the artistic dialogue that characterized this space a hundred years ago. Cesar Leal is conductor of the Sewanee Symphony Orchestra at the University of the South; he will shortly hold the Ph.D. degree in musicology from the University of Kentucky for his dissertation on Gabriel Astruc. His chapter “Gabriel Astruc, Wagner and the Wagnerianism of the Théâtre des Champs-Élysées” appears in a forthcoming volume commemorating the 100th anniversary of the Théâtre des Champs-Élysées.